I am SOOO loving these photos! Thanks for posting them. GK is incredibly handsome - I never tire of looking at that face. Whenever somebody is going on and on about some current modern heartthrob I always want to say, hey, he's no Gene Kelly! I love Donald too, but I've never seen a Francis movie. I know -- 50 lashes with a wet haystraw. SITR is a wonderful DVD to have in your collection. The current 2 disc special edition can be picked up at major retailers for under $10 if you look around. It's packed with info and extras. 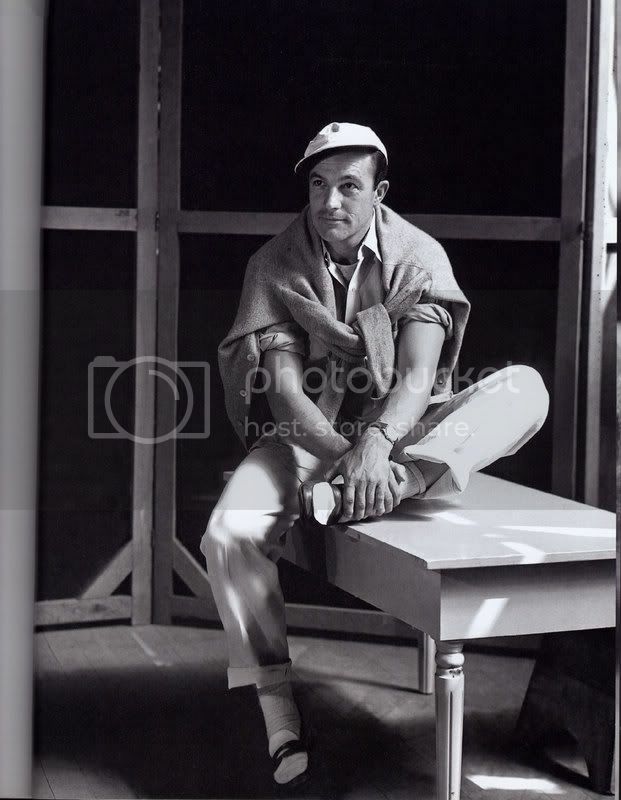 Well, Gene Kelly month is just around the corner, and I can't wait! Yesss! Monday's the day. There's another thread started on GK - SOTM, with a list of the movies on Monday. Even though he would seem to be miscast, and the film is void of location settings, I still really like BLACK HAND. It does nothing to romanticize the mob, like so many films (i.e., THE GODFATHER) have done, and presents the story, with stark, engrossing realism. I would rank it as his most underrated film. Gene is very good in his role and, along with FOR ME AND MY GAL, it is a favorite of mine. GK always excelled in the musicals, but he was also quite good in a non-musical movies like Black Hand and The Devil Makes Three, a touching movie in which he starred alongside Pier Angeli. Well, sure, he couldn't dance in his next movie with a broken leg! When is Gene Kelly Month on TCM? "When is Gene Kelly Month on TCM?" Danny, you wouldn't happen to have any more GK photos? *The producers based the title on the Samuel Taylor Coleridge poem about the corruption of a lush kingdom, that was written as the Romantic poet began his descent into opium addiction. Maybe the filmmakers forgot to "just say no" to whatever drugs compelled the whopping bad taste on display here too. One good photo deserves another. Loved yours. Hope you like this one.